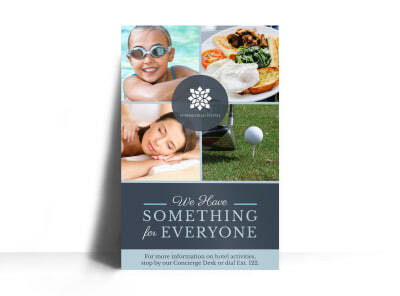 We make it easy for you to design & print anywhere you want. 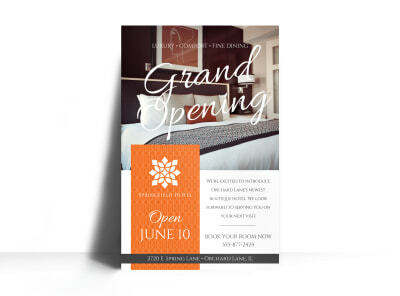 Choose from our hotel poster templates & customize them now. 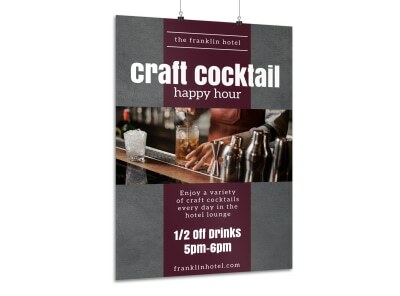 A popular and critically-acclaimed on-site restaurant or bar is an important addition to your hotel’s revenue stream. 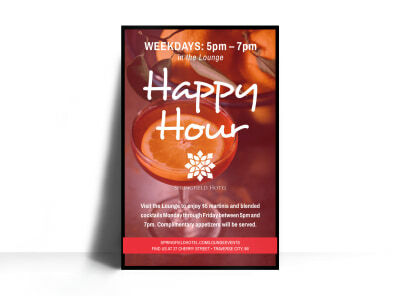 Draw in new patrons and reward your loyal customers by hosting and promoting a regular happy hour with a custom-designed poster. 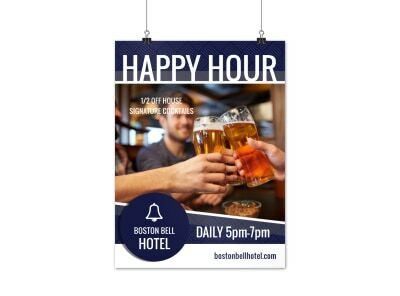 List your most popular drink specials (Half-price Long Island Teas, $2 well drinks, 2 for 1 taps) and highlight food deals (2 for 1 burgers, half-price apps, dessert shooters). 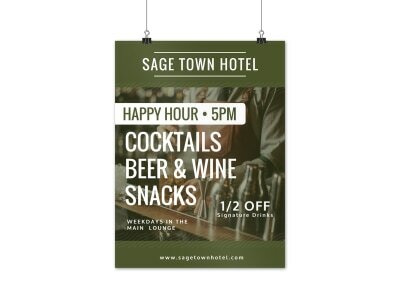 Offer an all-you-can-eat wing or taco bar with drink purchase if you’re looking to increase your bar sales. 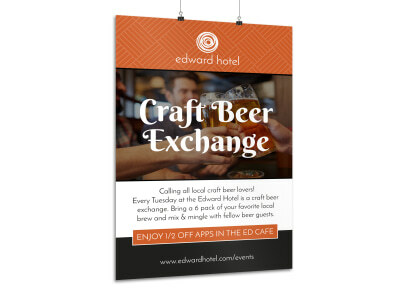 Hang your poster in your hotel and restaurant lobby, community office complexes, and possibly even local college student unions (depending on the crowd you’re looking to attract!). 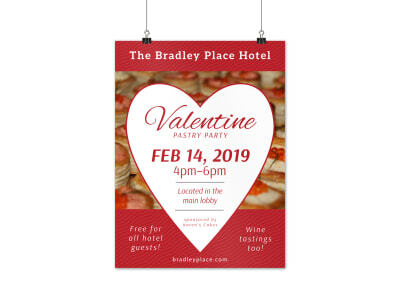 Romantic getaways are a key piece of every hotel’s revenue strategy – capitalize on the most romantic day of the year by offering the perfect Valentine’s Day escape. 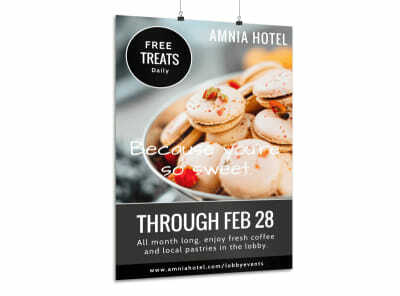 Design your own poster to promote this special holiday offer. Include unique amenities like gourmet chocolates, champagne, strawberries, flowers, and a candlelit dinner for two. Appeal to the planning half of each couple (there’s almost always at least one) by including a reservation deadline and a reminder that bookings are first come, first serve. 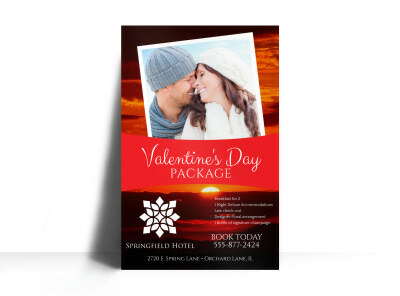 Use a romantic photograph of your hotel, with all the Valentine’s day amenities in place, as the background of your poster. 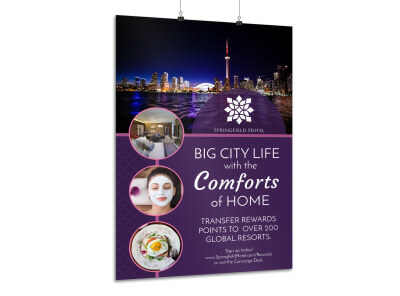 Display your poster well in advance – New Year’s is not too early! 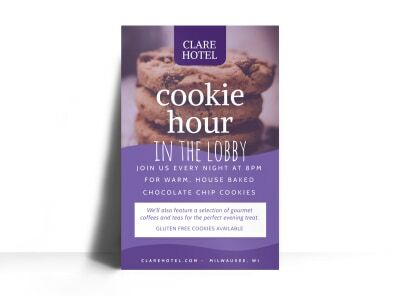 Hotels are not just for sleeping – make the best use of your venue by developing and hosting your very own slate of special events! 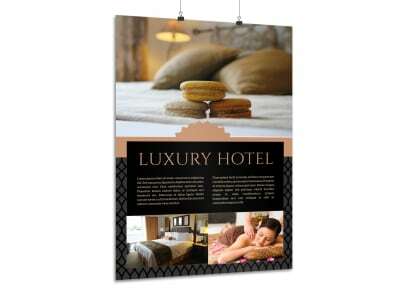 Advertise each event with a custom-designed poster that appeals to your target audience. 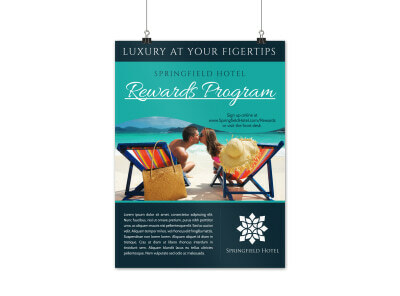 Plan offerings that compliment your hotel’s ambience and style – if you run a charming boutique hotel or bed & breakfast, à la the Dragonfly Inn of Gilmore Girls’ fame, plan book signings, antique shows, and indie music showcases; if your facilities are better-suited to the business or nonprofit crowd, industry trade shows, conventions, and charity events may be more your speed. 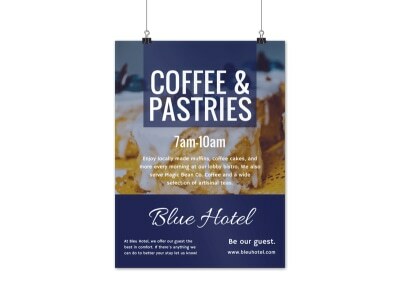 Events like a 5K or a guest speaker are a great fit for any hotel, and our online editor makes producing a different poster for every special event a snap! 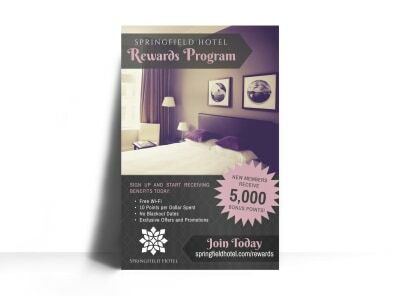 Every hotel has its own set of loyal customers who are the hospitality industry’s equivalent of “frequent fliers.” Attract and keep this critical set of clients with a highly-incentivized rewards program that encourages them to not only stay in your hotel but to also recommend you to their friends, family, and colleagues. 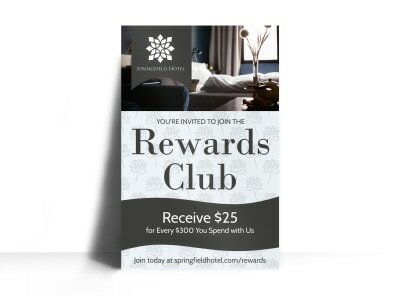 Promote your rewards program with a poster that lays out all the benefits of membership, like free room upgrades, restaurant or room service credit, or access to an exclusive breakfast or happy hour suite. 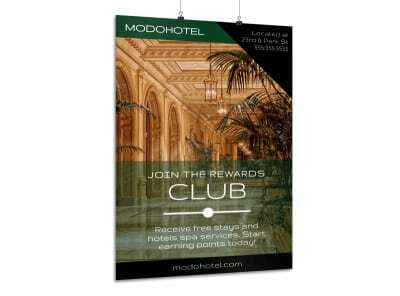 Points that can be accumulated and redeemed for free nights or other perks are also a huge plus. 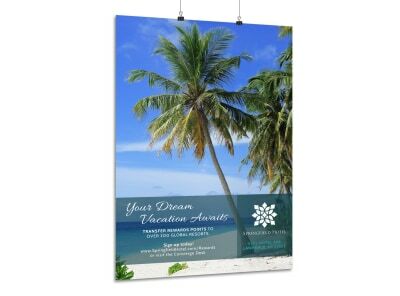 Use our editor to design and print your posters today! 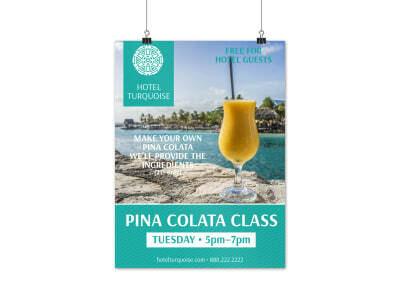 Your guests, especially those without tightly-planned schedules, are eager to know about the activities your hotel offers. A poster (designed by you!) 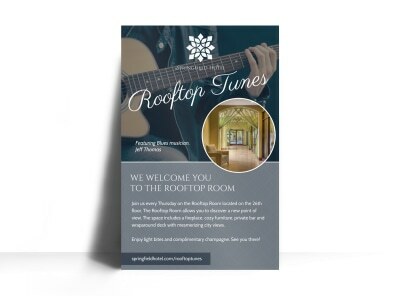 displayed proudly near the front desk or in the hotel restaurant is a convenient way to communicate the sky-view details of your most popular activities. Childcare, children’s programs, exercise classes, nature walks, and shopping adventures are all attractive options for your patrons. 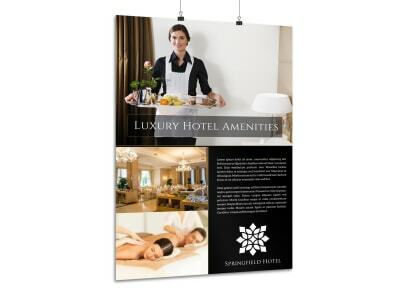 Promote your activities with a brief description that includes frequency, length, start time, and meeting place. Include a photo for each offering, or select a handful of the best to feature. 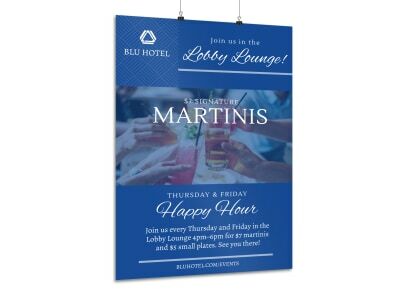 Our online editor turns you into a graphic designer as you customize our professionally-designed templates!